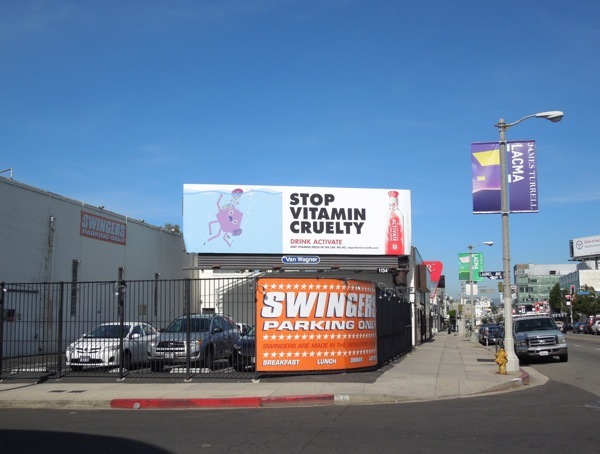 This quirky little ad really made Daily Billboard stop in our tracks. We all like to think of ourselves as such humanitarians these days, that the thought of torture or abuse horrifies us. 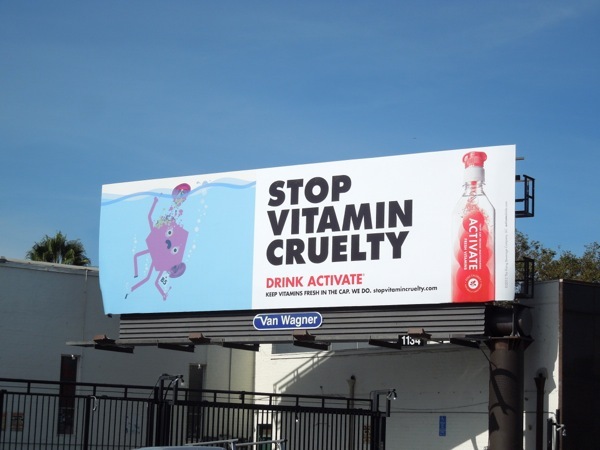 But wait, this billboard isn't about the mistreatment of animals or our fellow humans in far off lands, it's for 'vitamin cruelty'? Um, what? It's simply another clever way to get us to buy bottled water, although this water has a twist, in the cap that is. 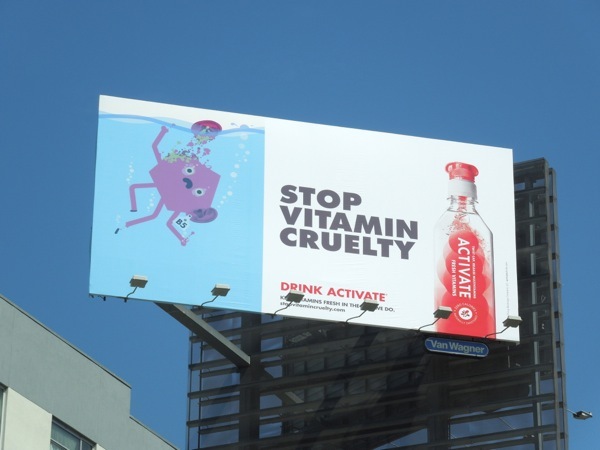 Apparently Activate drinks come with a nifty cap mechanism which adds powdered vitamins and nutrients to the water. 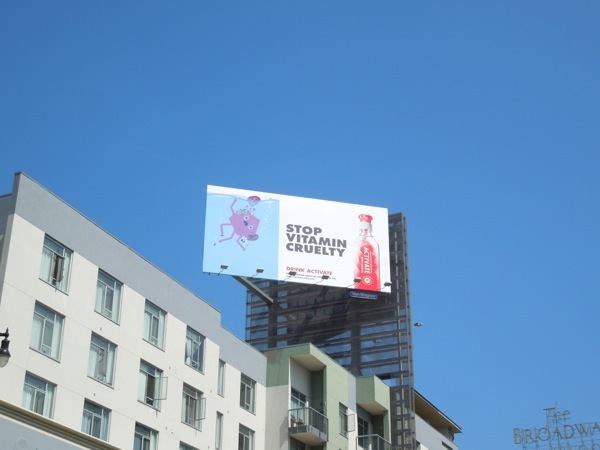 Let's face it, L.A. is the perfect place for the latest fad drink or trend. 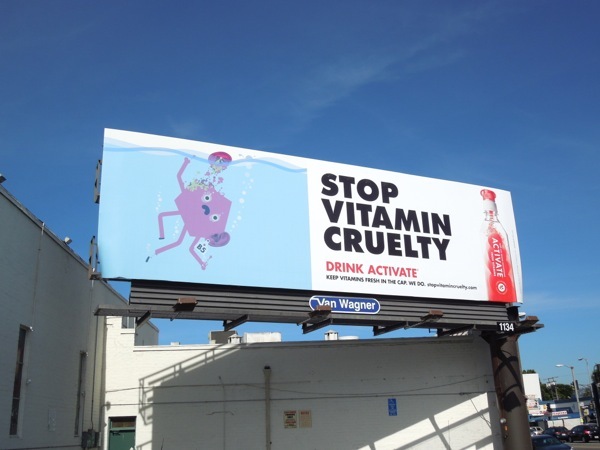 This cute illustration and interesting approach certainly catches your eye, and these billboards for the premium water product were spotted along Beverly Boulevard and high above Vine Street on July 13, 2013. 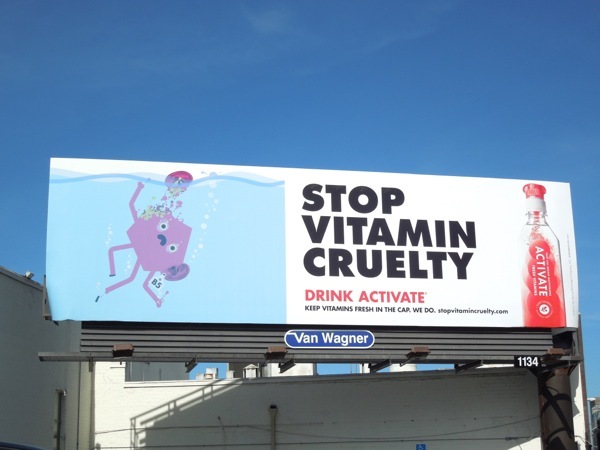 If you like this ad, be sure to compare this ad campaign to other billboards designed to sell bottled water (and charge you a small fortune for them), like these Vitamin Water ads and Smart Water billboards, here at Daily Billboard.